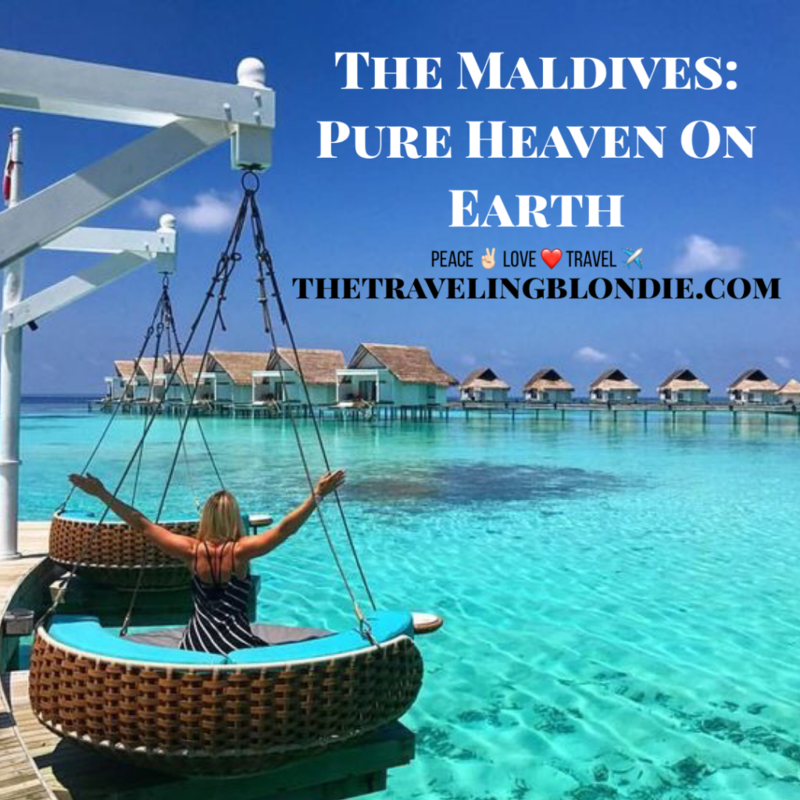 Ooooo the Maldives…a little slice of heaven here on Planet Earth. Consisting of 1,190 coral islands, I’ve never been to a place more beautiful. The water is crystal clear and calm, the service is impeccable, the food is delicious and you leave feeling like a new person! 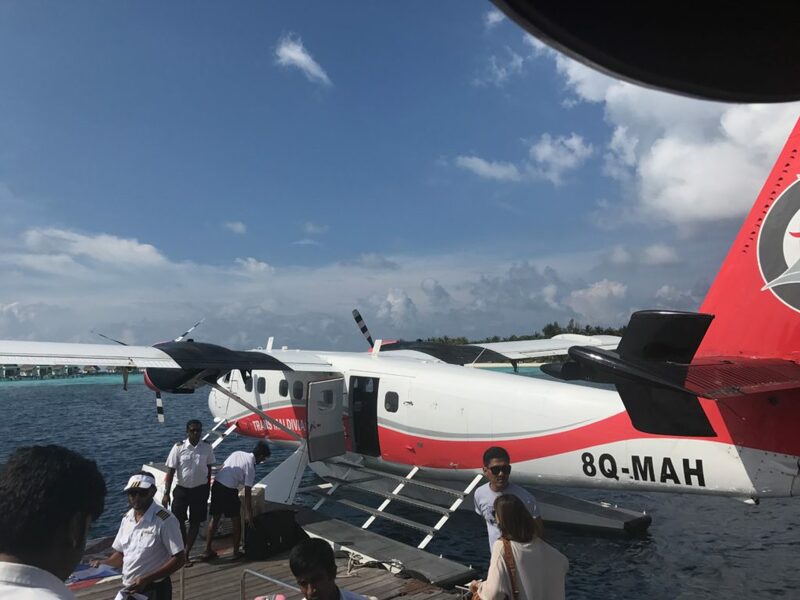 Domestic Flight: Via Flyme (Villa Air), a domestic flight form Male to Maamigili (VAM) can be taken in just 20-minutes. You’ll need to take a 20-minute speedboat transfer thereafter from the airport to the resort. $250USD/pp. It’s totally breathtaking everywhere you look! Centara Grand Resort & Spa was AMAZING, it literally looks like it was built yesterday. Everything about this accommodation is perfect, the rooms, pools, restaurants, service, fitness center, snorkeling, diving…everything. Did I mention that it’s ALL INCLUSIVE?! 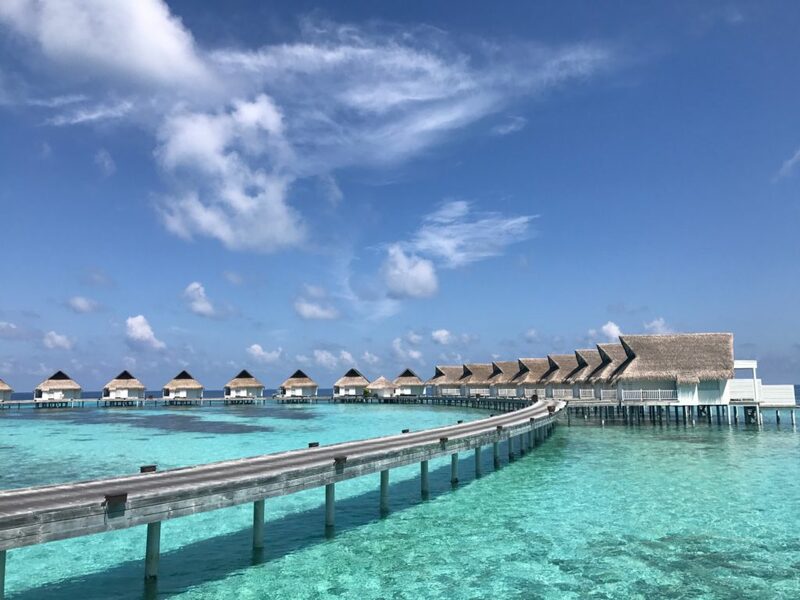 We did a TON of research on all the resorts in the Maldives, and Centara was definitely the best BANG for all the bucks we spent. Tip: Be SURE to pay the extra money for ‘The Club’, as you’ll get a LOT more perks than with a regular stay (see below). ALL of your food and beverage (alcohol), from set menus with a wide range in each restaurant. Put it this way, one meal in the Maldives for 2 people costs about $150USD. Go with an all inclusive FOR SURE! 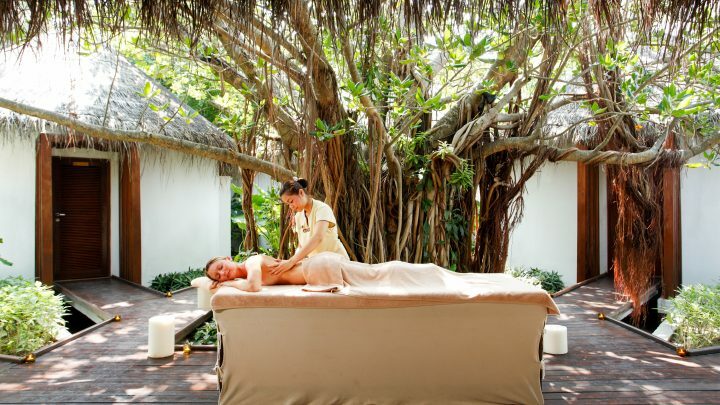 A $100USD credit per day to be used in the spa, which equaled out to 30 minute massages for both of us every day. 1 free dive each at the house reef. Windsurfing lessons/equipment, non-motorized water sports, banana boat rides, tube rides, and snorkeling equipment for use throughout your stay. 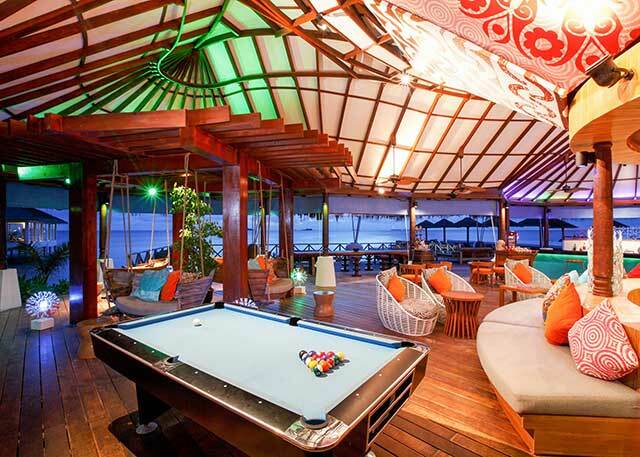 The Room: If budget permits, stay in a Sunset Pool Villa, you won’t be disappointed! 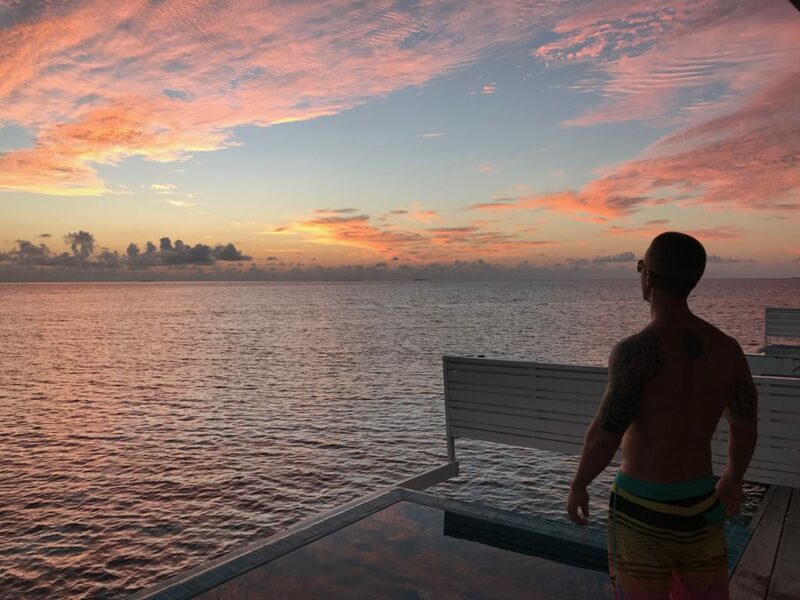 The views of the sunsets are breathtaking and there’s nothing more amazing than waking up in the morning, taking a dip in your private pool, then snorkeling off your balcony with the most colorful fish in the world! The bathtub is a nice bonus, as well as the his/hers bathroom sinks/closets. 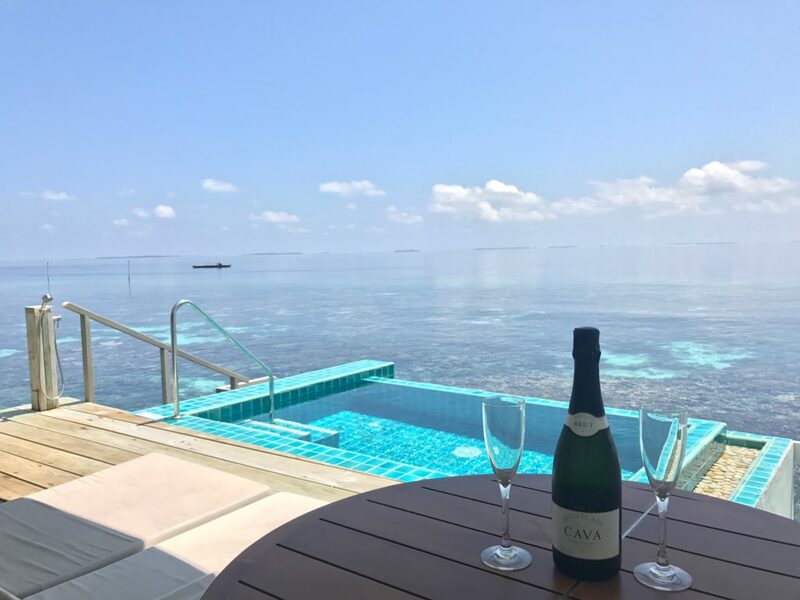 The Club: (18years+) The Club is included if you book the Sunset Ocean Pool Villa Room, Beach Suite, Deluxe Water Villa/Family Water Villa, but is worth paying for if you don’t choose any of those. Perks include: Ultimate All Inclusive Plan plus private indoor/outdoor lounge, swimming pool, dining venue for all three meals, Club Bar & lounge, premium alcohol, Club lounge check in/out, afternoon tea service, mid morning snacks, upgraded in room minibar replenished DAILY with 2 bottles of wine, soft drinks, 4 beers, chocolates, and snacks. Upon arrival, you’ll also receive 2- 700ml bottles of your choice (vodka, gin, whiskey, rum Bacardi, Bourbon), replenished once weekly. 2 pieces of laundry per room daily, a Book/DVD library, and a number of off-island excursions. Including The Club, there are 4 different restaurants for dining on the island, so you’ll have plenty of options. Do note there is a dress code (Resort Casual) for all restaurants: shoulders MUST be covered=no tank tops or bathing suits. Also, you need to make a reservation for lunch/dinner in all of them except Reef! Our favorite on the island, as it has a HUGE international buffet (that changes daily) for breakfast, lunch and dinner, as well as an a la carte menu. A delicious Italian Restaurant with great views of the lagoon and live entertainment in the evenings. This was our second favorite restaurant. 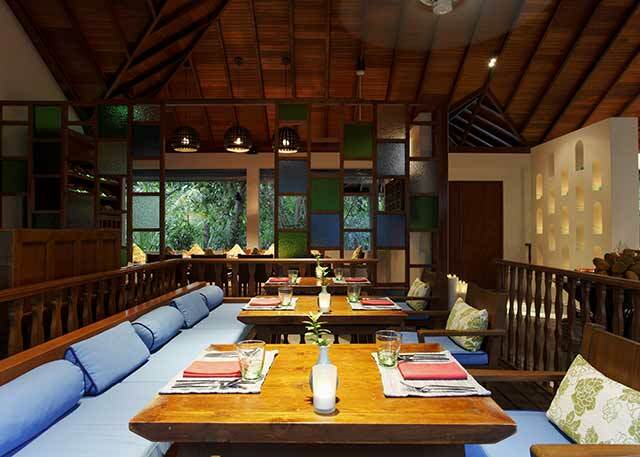 A gorgeous, authentic Thai restaurant in a beautiful pond setting. We had such a romantic dinner here with this quiet, peaceful atmosphere. This was our go-to spot for a drink in the afternoon and after sunset. The mojitos here are delicious, as well as the amazing views across the ocean. 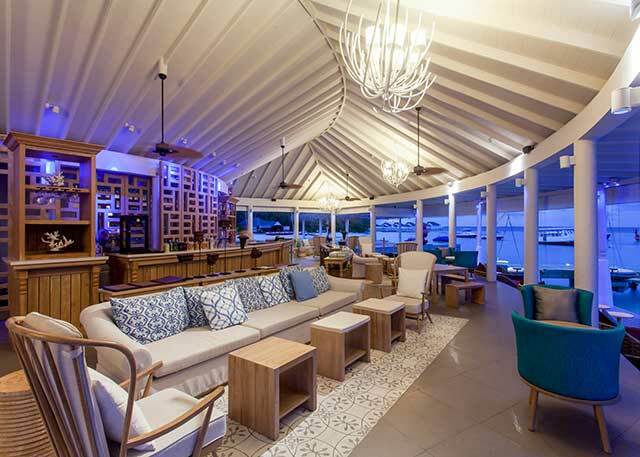 Photo Credit: https://www.centarahotelsresorts.com/centaragrand/cirm/restaurant/suan-bua/The liveliest bar on the island. 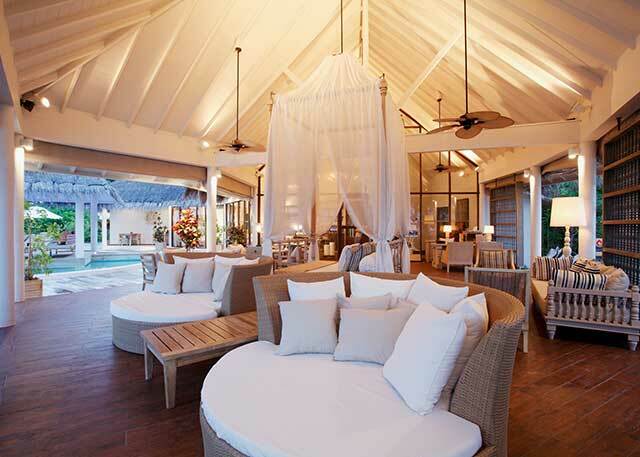 This is THE spot to be at at 6pm for a great cocktail and the Fish Feeding (more details below). The most upscale dining on the island. 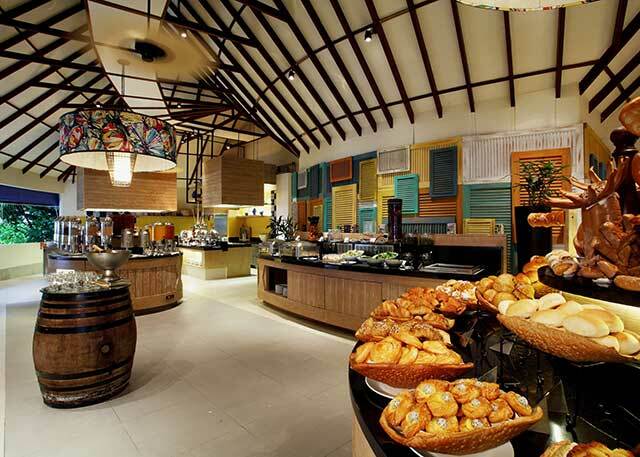 The breakfast buffet is great, with a wide selection of healthy options, as well as never ending mimosas! It’s a bit pretentious, but a nice atmosphere as well. In Villa Dining is available 24 hours. We ordered fish and chips, which costed a whopping $35USD, so I wouldn’t recommend partaking in too much of it, unless you want to cough up more cash. They also offer special In Villa dining for dinner, with an additional charge of $100-$300USD, depending on your selection (ouch). The resort is always having new entertainment come to the island, so there’s no shortage of things to do/see during your stay! The Fish Feeding is a Must See! You MUST go for this, a least once! It was one of the highlights of our trip! 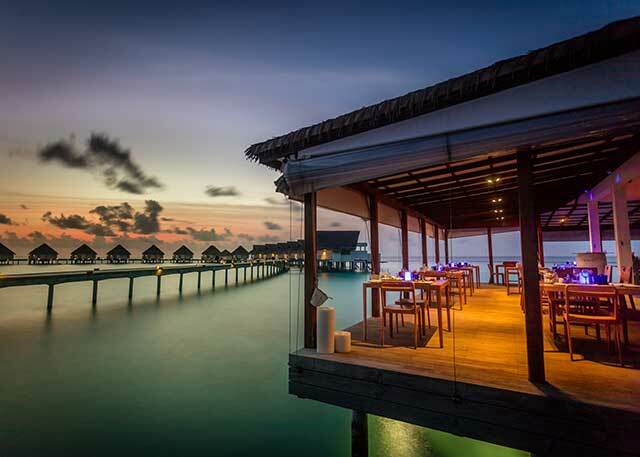 Imagine sipping a mojito, while the epic Maldivian sun is setting. 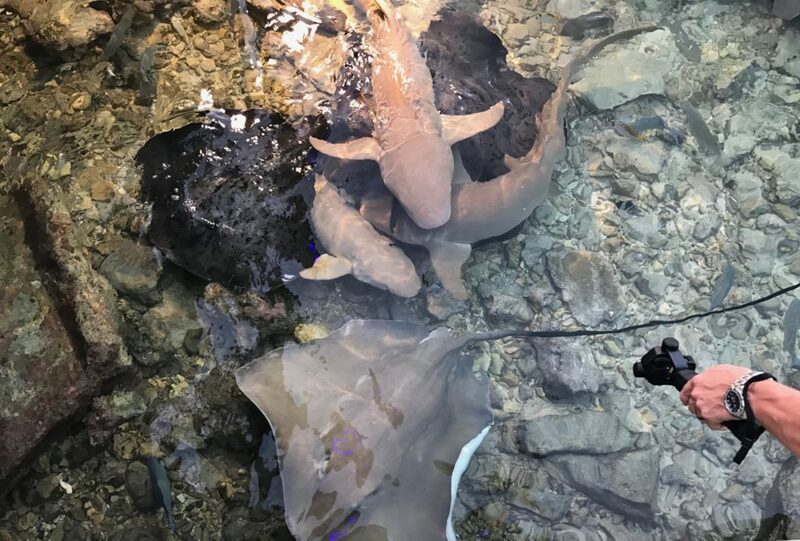 Just over the dock, you’re watching the biggest stingrays you’ve ever seen, baby sharks, and the occasional moray eel feeding, all while a live band plays in the background. Magical, simply magical. The clear blue water makes for the best snorkeling! Snorkeling off your balcony is one of the coolest things we’ve experienced. We saw sting rays, Blue Tang’s (Dory), baby sharks, octopus, and many others! Sipping champagne and canapés while watching the sun set from your boat is always a good choice. Head to a nearby island to catch a glimpse of a true Maldivian fishing village. You can also purchase clothing and souvenirs here. 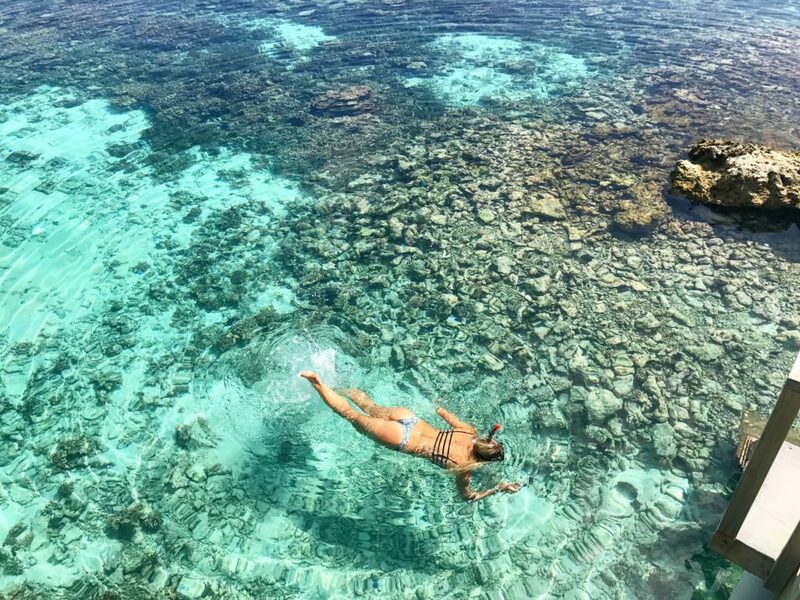 If you’re looking for different marine life than you can find off your balcony, then a snorkeling tour is a great idea! You can see parrotfish, turtles and even manta rays! Head out at sunset to go hand-line fishing. If you catch your own fish, the kitchen will cook it for you. If you’re lucky, you can swim with them! The Spa Cenvaree is just gorgeous inside and the staff is super kind. The locker room even has a Jacuzzi with an herbal steam room, and outdoor relaxation lounges. Treatments options include Traditional Foot Massage, Indian head massage, De-stressing Head & Shoulder Massage, Indian Head Massage, Upper Back Massage, Mini Face Relaxing Massage and Thai Stretch Back Massage. The island is super small, taking just a 10 minute walk to get around the entire perimeter. 2 pools (including the private Club pool). The Gift shop has many items for purchase, but they are SUPER expensive. The diving in the Maldives is some of the best in the world! If you’re a certified diver and you come to the Maldives, not diving would be a total sin! Maldives has the super clear viability (next to the Philippines), calm waters and gorgeous scenery. Diving trips can be arranged based on your desires (manta rays, corals, caves, etc). Note: The Maldives in general is VERY strict when it comes to regulations with diving. Centara required us to do a ‘safety check’, which consisted of going through basic skills such as clearing your mask and retrieving your regulator, prior to diving the House Reef. It is a requirement to do this ‘Safety Check House Reef Dive’ prior to any other dive with Centara, which can be a bit frustrating. Cost is $90USD/dive before tax/service charge. November to April is the rainy season. Traveling from December to April is ideal. Maldvians are devout Muslims, making alcohol illegal in the country, unless you are on a private resort island. DO NOT bring alcohol with you. We forgot we had a bottle of Sake from Japan in our suitcase and the airport security took it. Luckily, we were able to retrieve it upon departure. Dhivehi is the local language spoken throughout the Maldives, but English is also widely spoken, which makes communicating very easy here. Money Exchange: The local currency is Rufiyaa, but if you’re staying at a resort, there is NO NEED to exchange money into local currency. USD is accepted everywhere. Octopus sighting! Just near villa 80, there is an octopus living underneath the large rock/coral. If you can spot him while snorkeling, it’s an unforgettable memory! Maldives has one of the highest literacy rates in the world with 91% of the country’s population being able to read and write! 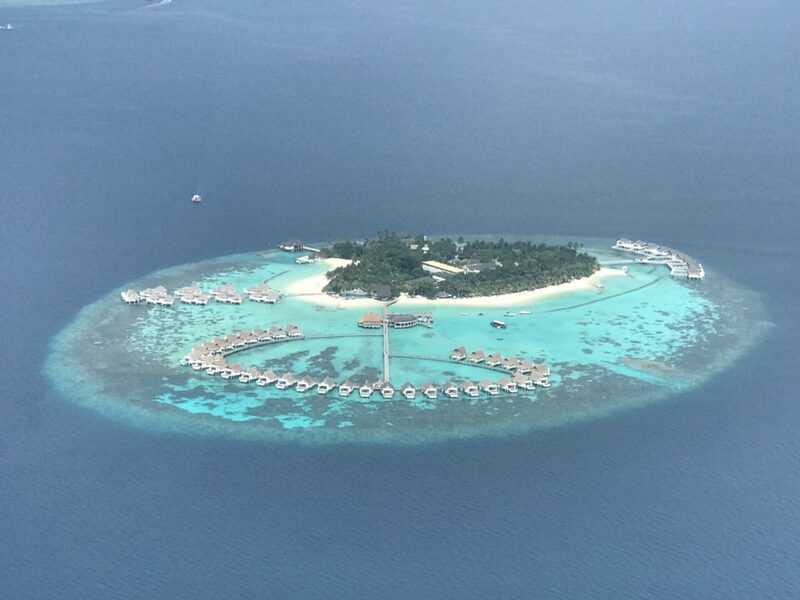 The Maldives is considered the flattest country with the lowest high point in the world (2.4m above sea level). The English word atoll is the only English word driver from the Dhivehi language, which is a ring shaped reef enclosing a shallow lagoon. Despite the abundance of sharks, there hasn’t been a recorded shark attack in the country for 32 years. 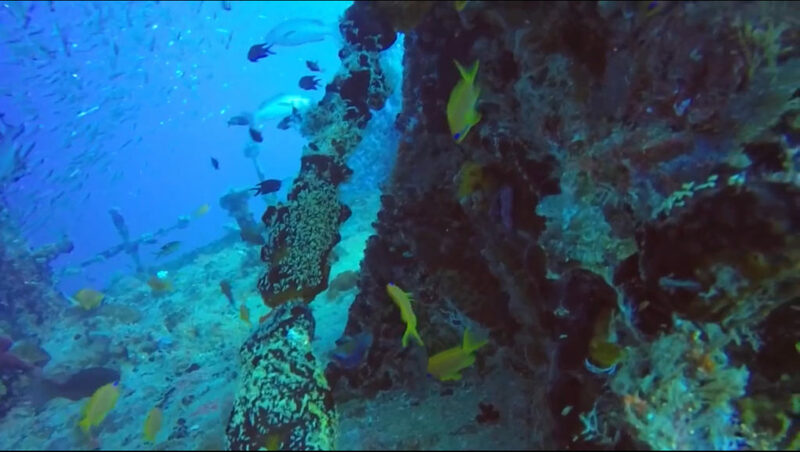 Hundreds of ship wrecks exist throughout the Maldives, as there is a long history of them hitting the unmapped reefs. Looking For More Blue-Water Paradise Destinations? 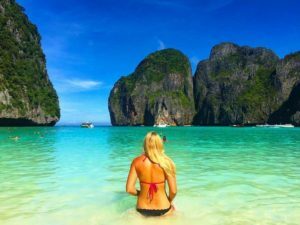 Check Out My Blog Post On Phi Phi Island, Thailand! My Blog Post From El Nido, Palawan In The Philippines!